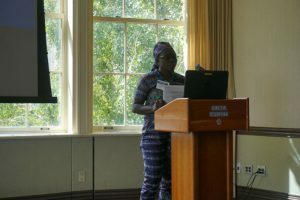 In September 2017 Columbia University, NYC, USA held the 5th Annual International Conference on Sustainable Development (ICSD). 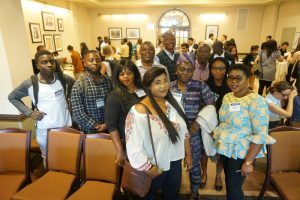 Over 1200 people attended including two MDP students from the U of Ibadan, Nigeria, recipients of the International Fund for Agricultural Development (IFAD) Best Practicum Report Award. 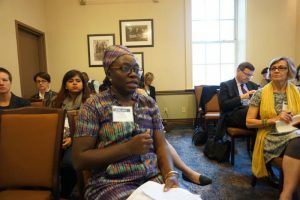 Both of these students Ms. Bolanle Titilola and Mr. Olufemi Oshinowo were panelist at the conference. 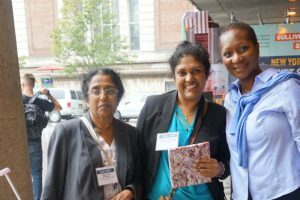 Other MDP students and family members also participated in the conference including a student and mother team from the U of Peradeniya, Sri Lanka. 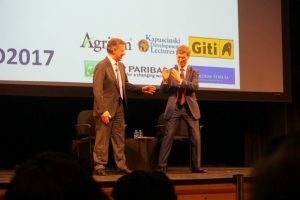 Other highlights included hearing from Columbia University’s Center for Sustainable Development director, Jeffrey D. Sachs, in addition to Juan Manuel Santos, president of Colombia and Nana Akufo-Addo, president of Ghana. Thanks for giving us the platform. You made it happen. 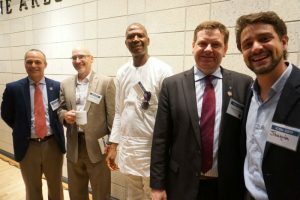 I remember our first encounter at the pre-conference cocktail of ICSD 2016. You took interest in the little effort then and your motivation made this achievement happened. Thank so much. 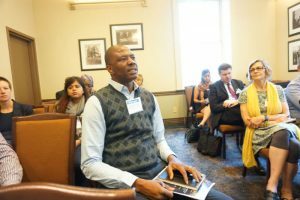 Also to Our Centre Director Prof Olanrewaju Olaniyan and our Global Coach and mentor Dr Olawale Olayide, we say a big thank you. You cooked us up for this. This is indeed a good start.